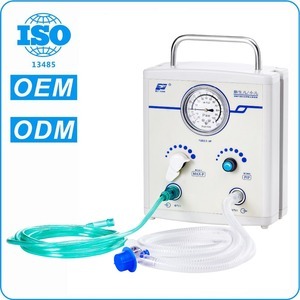 Guangdong Pigeon Medical Apparatus Co., Ltd.
2.Different concentration of medical oxygen will be mixed by adjusting the proprotion of oxygen and air. Also the products can be packed according to customer's requirement. Our Service Why choose us9 1. 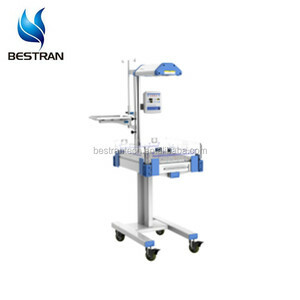 We are reliable and professional manufacturer of medical & health products. &bull;We assist you on every direct purchasing,project and bid tenders. &bull;We are a sales team, with all technical support from engineer team. After sales service: &bull;We respect your feed back after receive the goods. 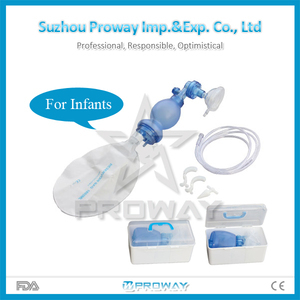 Xiamen Winner Trade Co., Ltd.
Suzhou Proway Imp. & Exp. Co., Ltd.
*We will guide you how to deal the troubleshooting, and your engineers follow our guidance to solve fault. *If still can not solve the fault at last, please arrange to deliver the fault parts back to us for repair. We have very professional forwarder to provide the best shipping cost, service and guarantee. 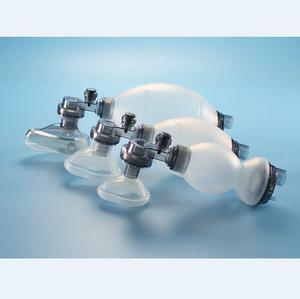 Nantong Rego Technology Co., Ltd.
PVC Manual Resuscitator -The resuscitator is intended for pulmonary resuscitation. -The range of application for each version is: &bull; L-Adult: Adults and children. 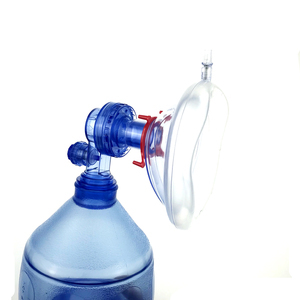 -The resuscitator can be used as normal for continued oxygen supply and assisted ventilation. CE Certification indicates that our product cpr resuscitator has reached the safety requirements specified in the European Union directive. In the United States, Canada and Europe, ISO 13485 is widely used as a quality assurance system, and the establishment of medical equipment quality assurance system is based on these standards. 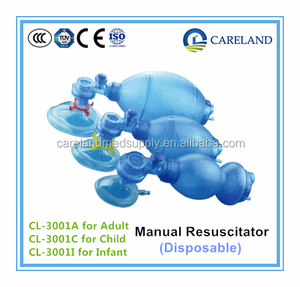 The products cpr resuscitator of our company are not only listed on the international market. 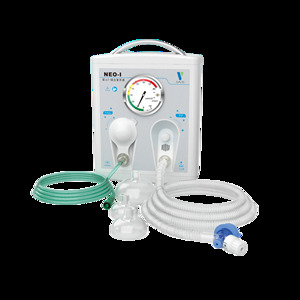 Alibaba.com offers 258 neonatal resuscitation products. About 32% of these are first-aid devices, 12% are infant care equipments, and 8% are breathing apparatus. A wide variety of neonatal resuscitation options are available to you, such as free samples, paid samples. There are 258 neonatal resuscitation suppliers, mainly located in Asia. The top supplying countries are China (Mainland), India, and Taiwan, which supply 96%, 2%, and 1% of neonatal resuscitation respectively. 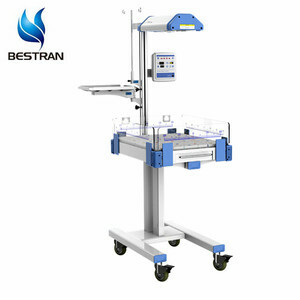 Neonatal resuscitation products are most popular in Mid East, Western Europe, and Southeast Asia. You can ensure product safety by selecting from certified suppliers, including 164 with ISO13485, 27 with Other, and 20 with ISO9001 certification.